If your windows won’t budge, allow hot and cold air to escape, or the frames are busted, new window installation or replacement from Butler Home Improvement will solve your problem quickly and easily! Butler Home Improvement provides clients in the greater St. Charles area with high-quality replacement windows in a variety of styles. Whether you prefer slider windows that offer simple maintenance or would like to install a bay window that is aesthetically pleasing, our technicians employ modern technology to get the job done accurately. While there are other window replacement companies in St. Charles, none compare to Butler Home Improvement. With over twenty years of experience in home improvement, we have the experience and skill required to properly hang any type of window. We cater our services to fit client needs. Regardless of the home improvement project you have, you can rely on Butler to personalize your space. 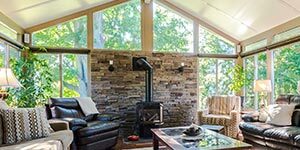 In addition to window installation, we offer an array of services to include deck installation, kitchen remodeling, and much more. To demonstrate our commitment to customer service, we deliver a two-year labor warranty which ensures satisfaction of the work completed. 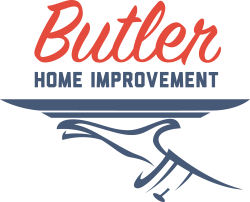 If you would like to learn more about bathroom remodeling, awning installation, or window replacement cost, call Butler Home Improvement today at (314) 329-5489!